If you weren’t able to get out hunting minibeasts during the Easter holidays – don’t worry! Just click the image below to see how we got on and use our data to colour in your graphs. 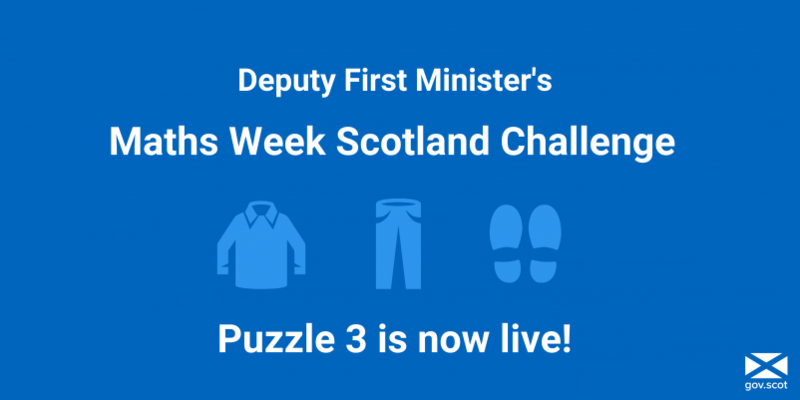 Here are the solutions to the Maths Week Scotland puzzles! It’s the final day of Maths Week Scotland 2018 and here is the final puzzle. Good luck! 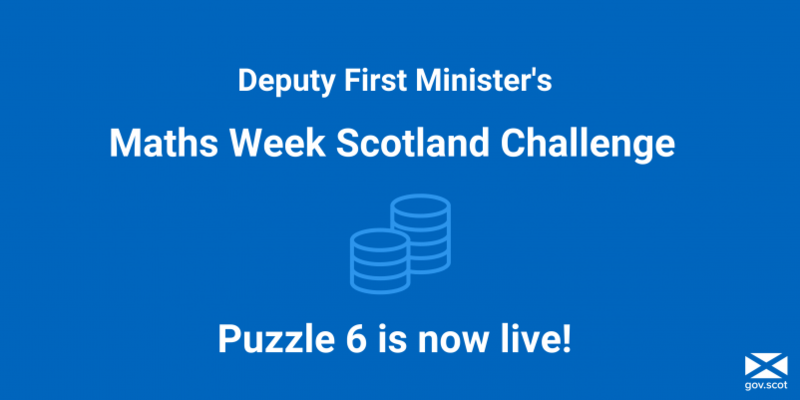 Welcome to the day six Maths Week Scotland 2018 puzzle. You might want to work together with friends or family members to solve this one. Enjoy! It’s day five of Maths Week Scotland 2018. Here is today’s puzzle. Good luck! 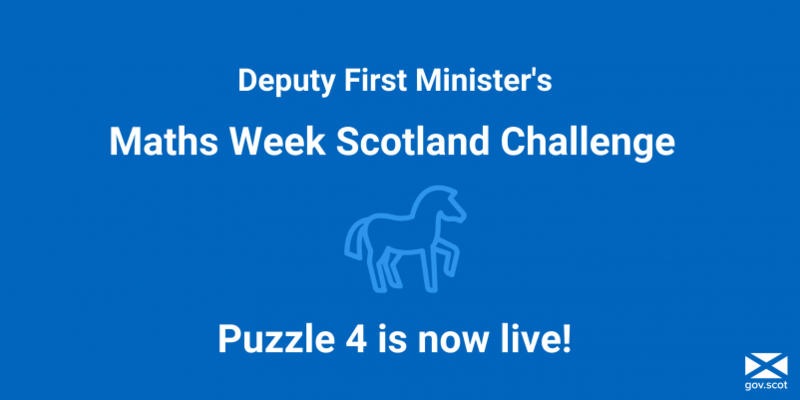 Here is the puzzle for day four of Maths Week Scotland 2018. I hope you’re enjoying working on these, either alone or with friends or family members. I hope you are enjoying the Maths Week Scotland daily puzzles. Here is the puzzle for day 3. Making Maths Count is an initiative which aims to encourage greater enthusiasm for and increase participation in maths. This blog will keep you updated on the group’s work and showcase how people from across Scotland and elsewhere are making maths count in their lives and work.